KWA blinds was integrally involved in one of the Sunshine Coast’s largest developments in recent years. Sunshine Coast University Hospital (SCUH), a 1.8 billion spend, brought to the community a 738, state of-the-art bed hospital and tertiary teaching facility. 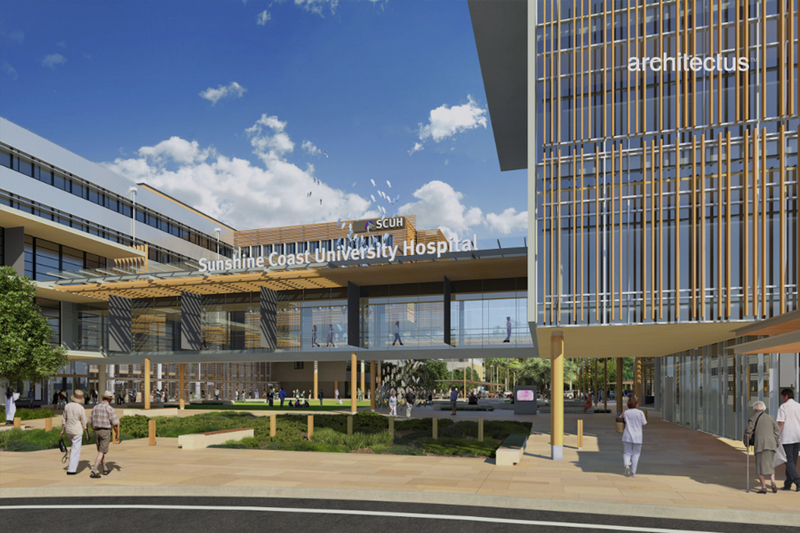 Architectus reports ‘SCUH will be a world class health care facility attracting the best staff and servicing the region as the hub in an integrated network of accessible healthcare. KWA blinds fitted a range of window covering and soft furnishings throughout. These includes Euroscreen roller blinds from Vertilux, Euroblock roller blinds from Vertilux, Bedscreen curtains made with Instyle fabrics, shower and bedscreen tracking.